Community. The word means something different to everyone: for some it’s a way of life, while for others it’s merely a TV show. 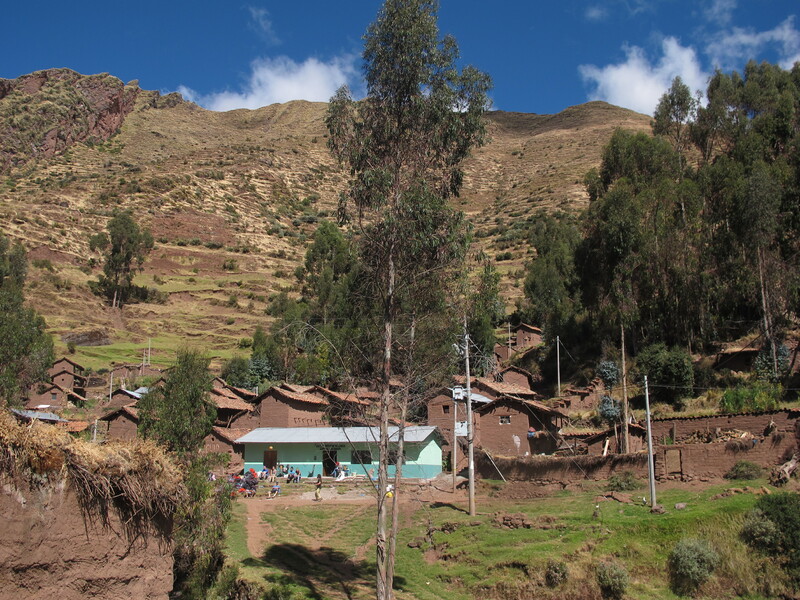 In the case of Llactapampa, community means a village of 150 people living in adobe huts 3, 500m above sea level. Ringed by the Andean mountains, our time in Llactapampa gave us our first stark realization of how most of the world lives. Running water felt like a luxury, and even that was contaminated. The villagers wore sandals made of old tires, and survived off the potatoes they plant, tend, and harvest. The whole experience definitely made us examine ourselves, and the lifestyles we take for granted. Interior of Vigilence Centre after renovations! 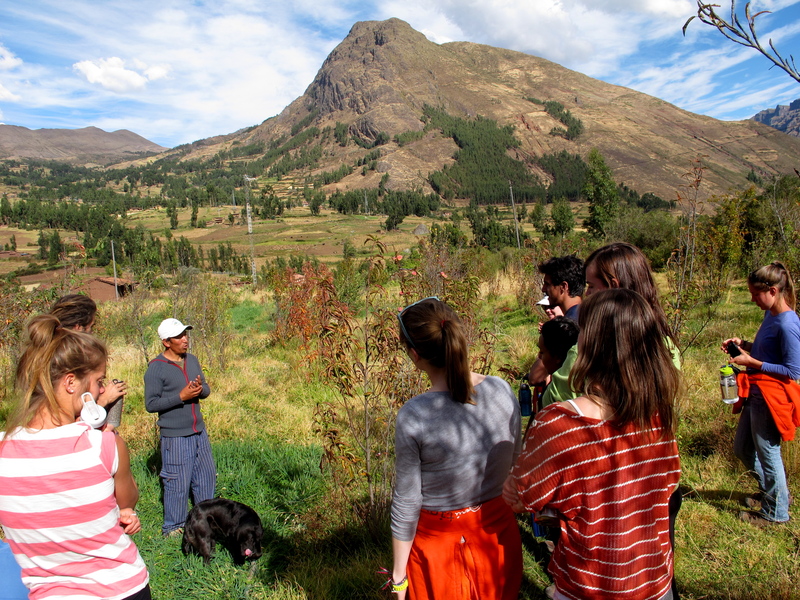 Llactapampa was our first volunteer experience. Through a local NGO called Kallpa. our aim was to complete two projects over the week. The first was to construct shelters around community water reservoirs, to keep the sun from contaminating the plastic and therefore the water. Our biggest role turned out to be providing and carrying the materials up the mountain. The rest was done by six older men from the community, whose years of experience meant they did the job faster and much better than we could. The second project was our biggest accomplishment. One of Kallpa’s aims is to build“Vigilance Centers” in small communities, to provide a place for new mothers to bring their young children. Currently the Peruvian government doesn’t fund support for babies aged 0-3, which is one of the most important times for development. Through the Vigilance Centers, mothers can teach their children about nutrition, and the kids have the opportunity to learn through simple games and toys. Our role was to renovate the building, which had been serving as a comedor, or place to eat. The renovations took days of sanding, priming, and painting. We learned how to mix and pour concrete using only a few buckets and shovels. We also learned that our concepts of time and efficiency don’t exist in Latin America. Materials arrive sporadically, and if the maestro is meant to come on Wednesday, chances are he may show up Friday (if you’re lucky). Things happen when they happen. But despite these adjustments, the project got finished. 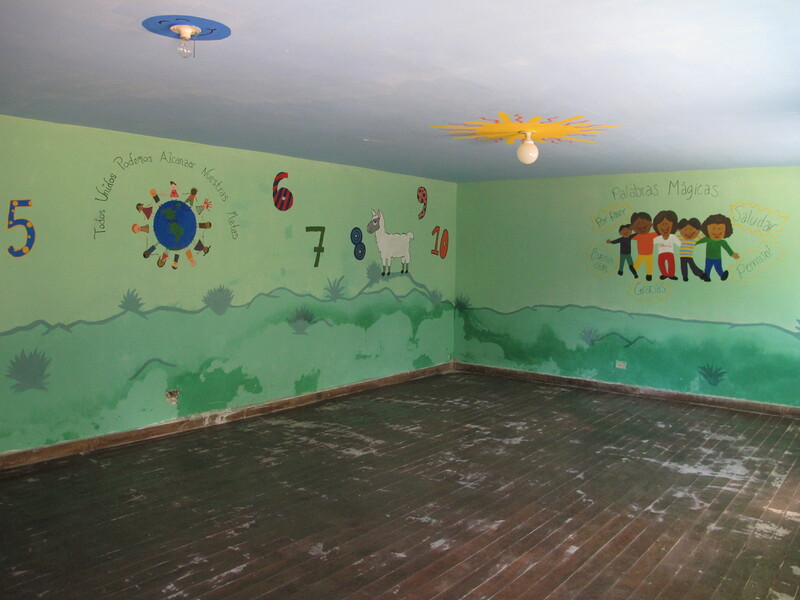 With Madonna playing in the background, the place went from a dilapidated comedor to a fresh, inviting center covered with paintings of llamas and children brushing their teeth. I’m hopeful that the community and Kallpa will put it to good use. From Llactapampa we headed back to Cusco for one night and for some much needed laundry service. 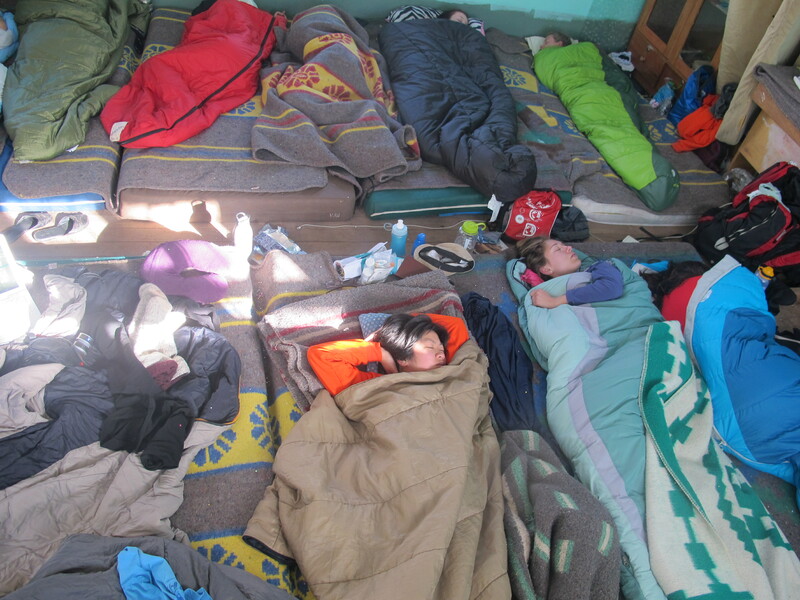 The next morning we headed out on public transit to Pisac, a community about a half hour from Cusco. We had been warned about the growing amount of gringos in this town that had been attracted by the community’s spirituality and ceremonial practices. We passed through the tourist up into the hillas behing Pisac, to reach the farm of the Ccapa (Ka-pa) in a community called Maska. Our hosts were two brothers, Dario and Arcadio, their parents, and Dario’s girlfriend, Maricruz. Over the next three days we would learn from all five of these amazing individuals the skills and knowledge that will likely stay with us for many years to come. We learned about the medicinal use of a number of plants grown on the farm (including the safe limit of Eucalyptus, which we’d already been having in tea, is 7 grams at a time), we learned to milk a cow (after much trial and error), we harvested corn, we harvested wood for the organic construction projects, we learned to make cheese (so delicious! 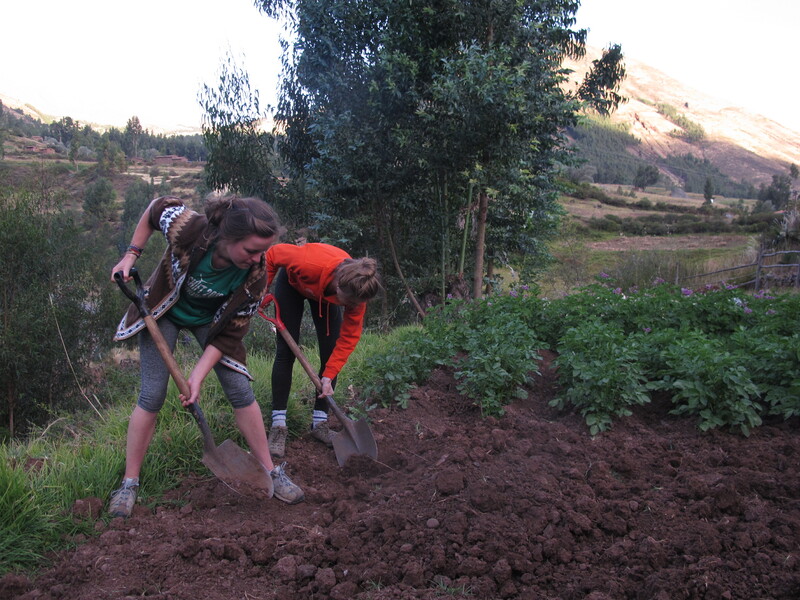 ), and, what may be most memorable for most of us, we shoveled a ton of cow poop and transported it via a ten minute walk to the garden where we (bare handedly) added it to the soil in preparation for the sowing of potatoes. All manner of poop jokes were told, as you can imagine. 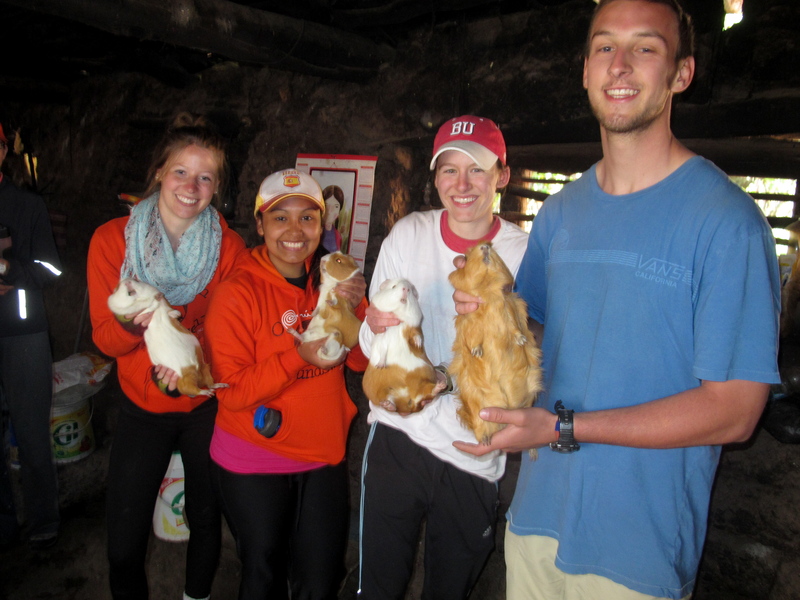 One of the neatest workshops we were given was about the sustainable consumption of guinea pig (cuy). 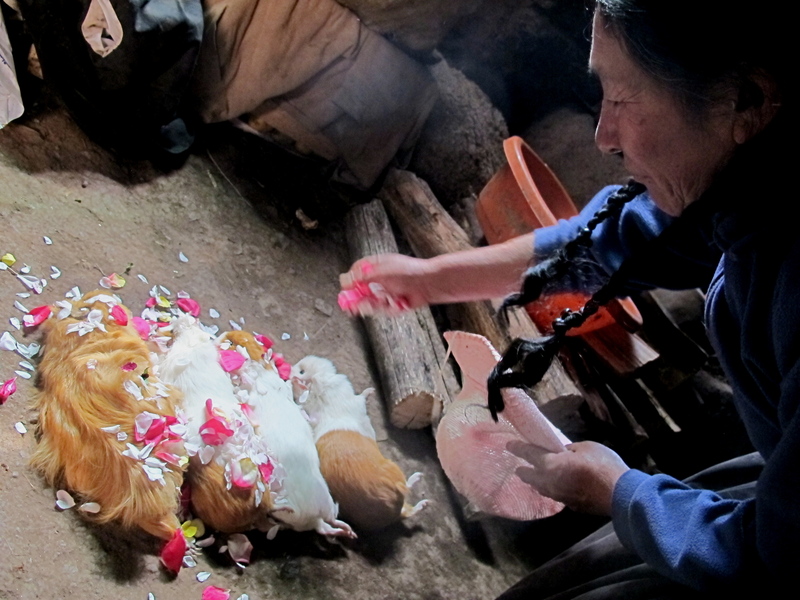 We picked out our four cuy in the morning and witnessed (some of us even participated in) the breaking of their necks. It was a peaceful process in all honesty, and the family covered the bodies with flowers to show their respect and gratitude for the food. 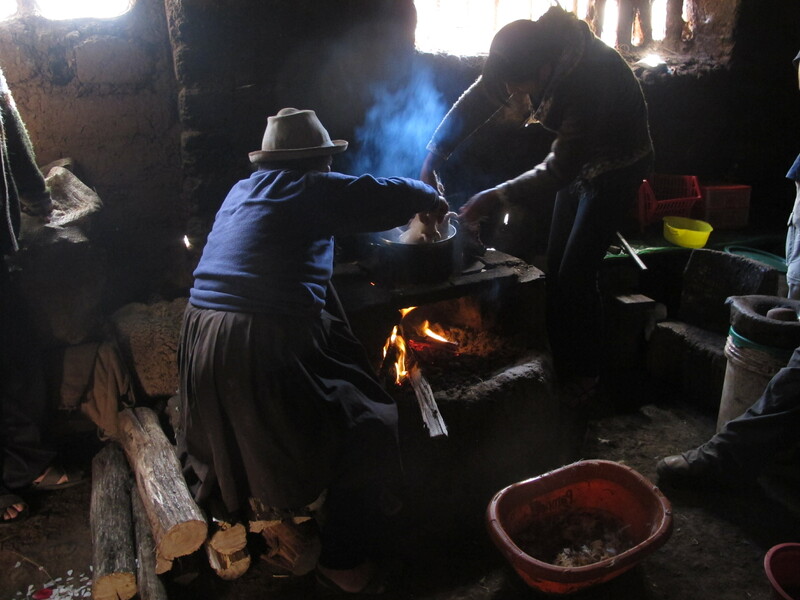 We watched Maricruz and Senora Ccapa throughout the whole process, from de-hairing to removing the intestines… and we were rewarded with one of the most delicious meals of the trip so far. The organic farming philosophy is something that has made an impact on me and that I hope to bring back home. To let plants grow where they grow (not in organized rows like our farming), to allow weeds to grow and to perceive them as protection for the good plants, to not be afraid of dirt, but to eat fruits off the trees, even if they fall on the ground first, Eat from the land and live in harmony with it. And of course, don’t be afraid of a little poop – after all, everyone does it! 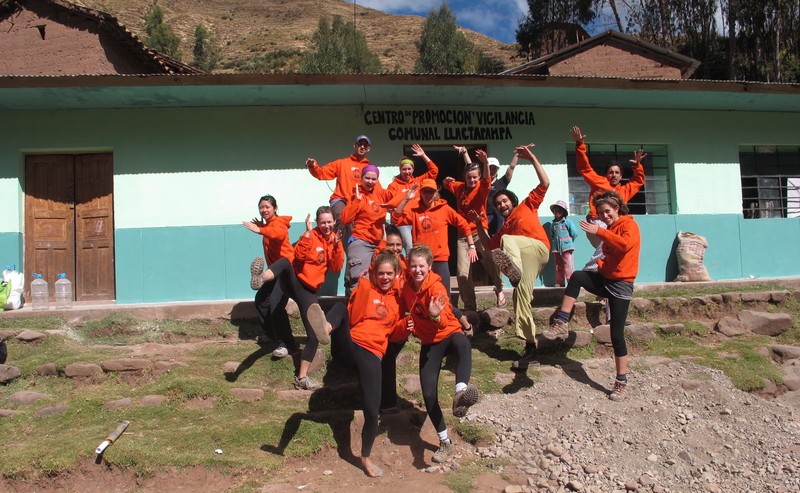 The team headed out this morning on a five day trek to Machu Picchu! More updates to come!